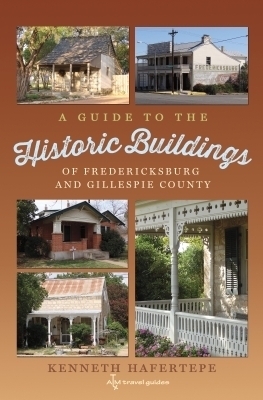 This richly illustrated book tracks the evolution of Fredericksburg architecture and guides readers through the streets of this once-westernmost German settlement in America, pointing out the log, fachwerk, and stone buildings that housed the town’s full-time residents, its weekenders, and the businesses of the nineteenth century. Abundant with details uncovered by Hafertepe in his research, including corrections to construction dates based on newly tapped records, this guide features those buildings visible to visitors from the public streets and sidewalks. The author lists which buildings are open for tours and which ones have been converted to public use such as museums, stores, or restaurants. The buildings of Fredericksburg reflect memories of classic German construction and technique with a gradual transition to American styles, including a few remarkable decades that were neither purely German nor American distinctively but saw the creation of a regional style. This book allows readers to walk down the streets of Fredericksburg and see the layers of Texas history on display: everything from a pioneer log cabin to an art deco courthouse.